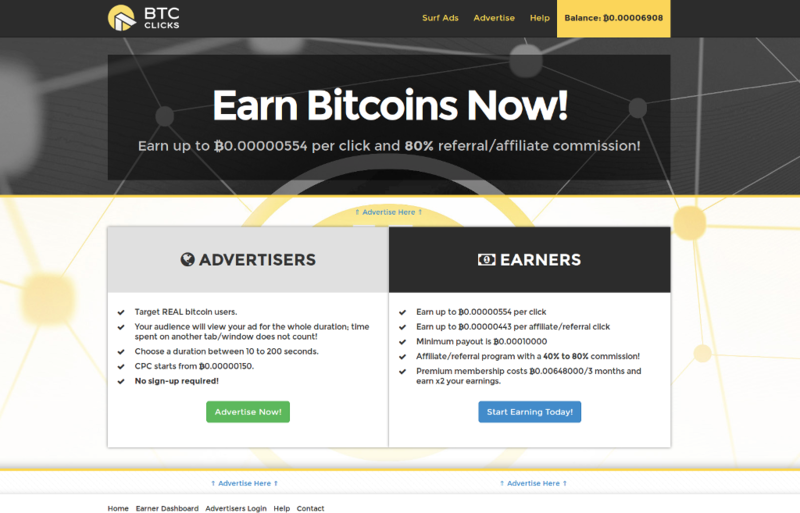 BTCClicks.com is another free bitcoin faucet site paying Satoshi’s to view their clients ads. It got standard and premium memberships, offers to rent referrals and more to earn more then a standard user. And it works actually pretty well in my experience so far after testing it for a couple of weeks. 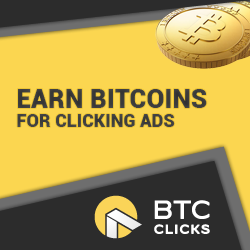 BTCClicks displays ads from their paying customers to present it to you as a bitcoin receiving viewer of the ads. Depending on how long you have to view the adds the more Satoshi’s you will get booked to your account. This can be anything from 10 to 60 seconds; 10s adds will get at the point of writing around 39 and a 60s ad about 103 Satoshi’s. From your dashboard you go to “Surf ads” select the ones you are interested in or pay most and the ad will open up in a new tab/window of the browser. BTCClicks starts counting down the seconds, a captcha shows up, currently a small calculation, enter the result and you get the Satoshi’s booked to your account. 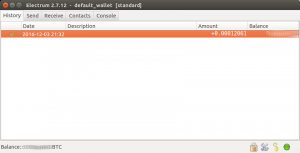 Once you got 10’000 Satoshi’s and are able to withdraw to your wallet immediately. 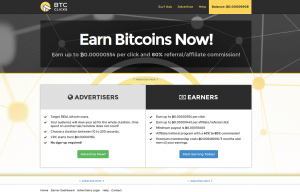 If you will get a premium member of BTCClicks – which cost currently for 90days 0.0081 BTC – then you will get more Satoshi’s per ad, and also more referal reward then a normal user. As example a click reward for a 20s ad for a standard user is 50 Satoshi, for a premium user it is 100 Satoshi. 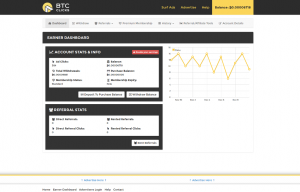 Moon Bitcoin (moonbit.co.in) is a free bitcoin faucet. 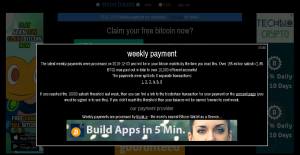 Like on many other faucet sites you can get bitcoins (almost) for free. As many of these sites are more or less trustful, at least that was how I was feeling, I thought I give a little deeper insight, if a site worked successful for me (see screenshot at the bottom) or not. Moon Bitcoin is one of them that keep their promises: they pay weekly on the weekend the amount you earned. What do you have to do to get paid? Sign up with your bitcoin wallet address, disable your adblocker, if you got one running, and leave the site open. 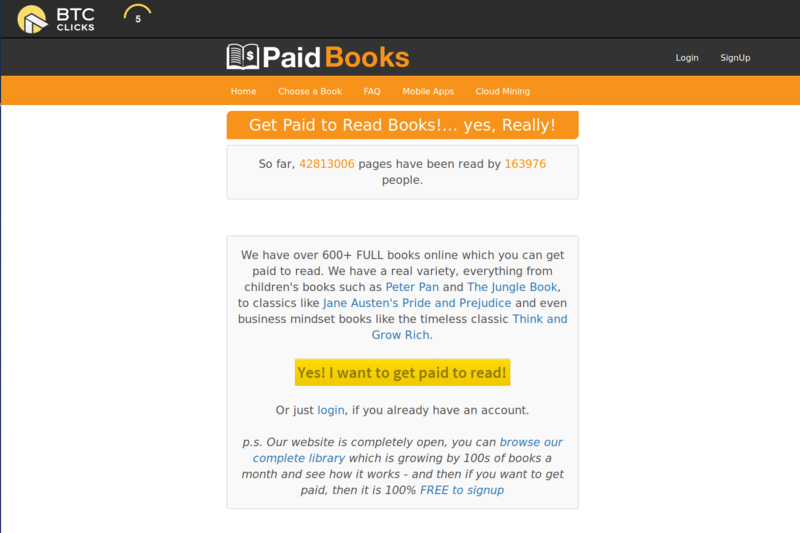 It displays various ads from their paying customers. 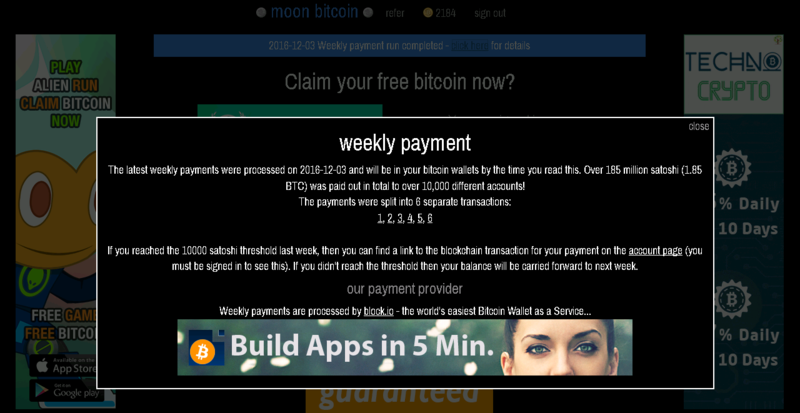 Thats how you get money: The longer you got the Moon Bitcoin site open showing advertisements, the more Satoshi will be added to your account. moonbit.co.in also offers a referral program, where you will get paid if you refer new customers to them. An interesting option if you got a website to get a little bit more out of it. I am using this option too, so appreciate your support by using my link if you give it a try. Thanks. 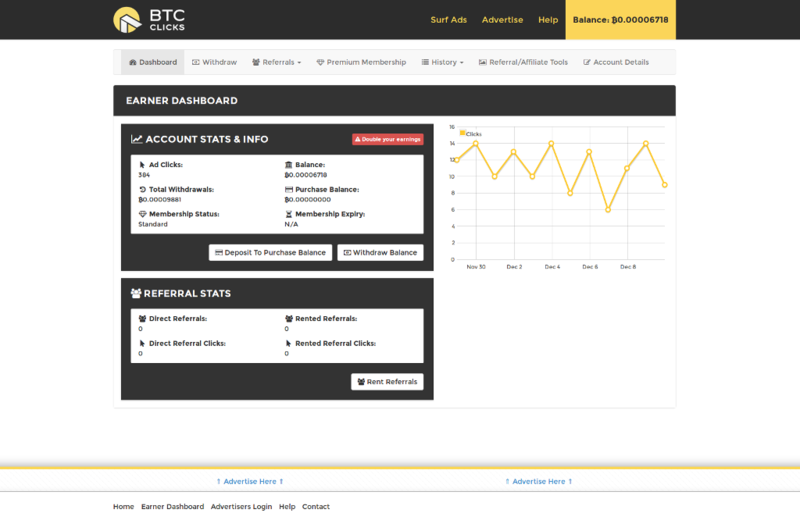 Moon Bitcoin is an advertisement platform where their customers show ads and they obviously pay money for it. You as a bitcoin receiving visitor get paid part of that money back. The delta is kept by the platform provider which is Moon Bitcoin. That’s how they make money. The payout frequency is on a weekly basis and the minimum amount Moon Bitcoin is paying is 25’000 Satoshi (0.00025 BTC); the limit was increased from 10’000 Satoshi before. Moon Bitcoin uses viewing sessions: The longer a session without claiming money is running, the less Satoshi you get over time. So it is worth claiming your amount back after a couple of hours to fill your account the most efficient way. Usually the best point in time is after around 250 – 300 Satoshi in my experience. This is a good compromise between getting a good amount of Satoshi and having not to claim too often. But please give it a try yourself on what works best for you. Make sure to claim at least once a day to increase your loyalty bonus which increases it everyday by 1 percentage until you reach 100%. If you should miss it one day, it will be reset and you start from zero. Hope that little review was helpful. If you like to try out Moon Bitcoin yourself, please go here. Enjoy the free Satoshi’s. 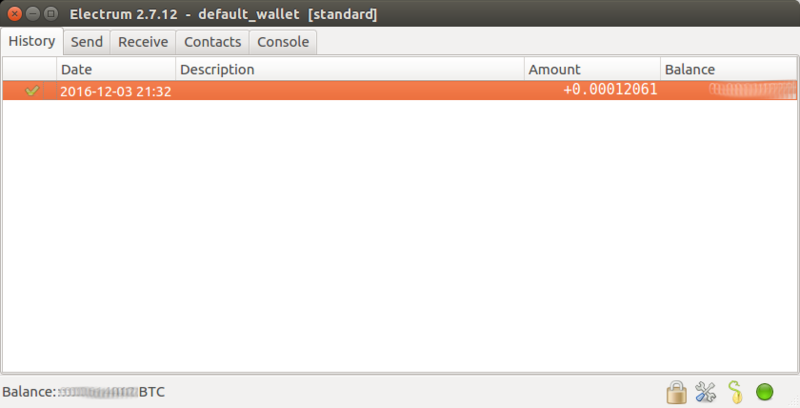 Updated the payout limit to 25’000 Satoshi.